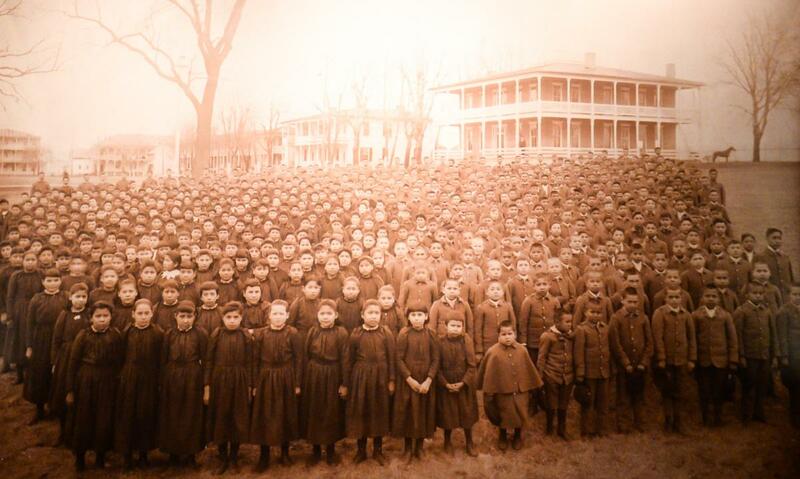 The Carlisle Indian Industrial School was founded in October 1879 by U.S. Army Officer, Lt. Richard Henry Pratt. It was the first U.S. government off-reservation school to enroll students from virtually every Native American Indian nation from the various agencies and reservations. Beginning with an enrollment of 82 children from the Rosebud and Pine Ridge Sioux communities, numbers swelled to as many as 1,000 children annually during the period from 1879-1918, when the school closed. 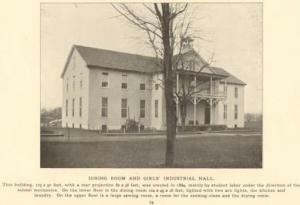 Designed to offer academic and industrial training the program enrolled over 10,000 American Indian children from more than 141 different tribes, only a fraction of whom ever graduated.The experiment was designed to assimilate students into the mainstream culture and was housed in Carlisle, PA at the Carlisle Barracks, now the home of the U.S. Army War College. "Carlisle" became the model for 24 off-reservation schools with the purpose of acculturation. 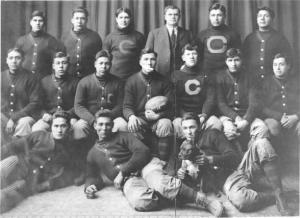 During the early part of the 20th century, the Carlisle Indian School was a nationally-recognized football powerhouse led by Coach "Pop" Warner. Legendary athlete and Olympic champion Jim Thorpe was one of the many members of the team at this time. During the program&apos;s 25 years (1893-1917), the team compiled a 167-88-13 record and regularly competed against Harvard, Yale, Brown and Dartmouth. The grounds also contain a cemetery that holds the remains of nearly 200 students who passed away at the Carlisle Indian School or on Outings. Additional information about those buried at the cemetery, as well as an interactive, aerial map showing the location of each headstone, can be found online at the Carlisle Indian School Digital Resource Center. This site, which seeks to increase knowledge and understanding of the complex legacy of the school while telling the stories of those who attended, also features additional publications, documents, lists, ledgers and images. 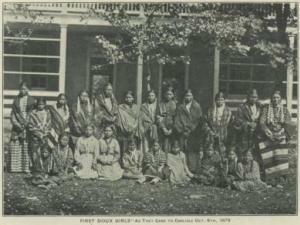 The Cumberland County Historical Society includes an exhibit on the history of the Indian School and is a resource for documents and photos related to the school. The Historical Society also occasionally offers guided tours. A self-guided walking tour brochure may be purchased from History on High, the historical society&apos;s gift shop. Individuals wanting to enter Carlisle Barracks without a federal government-issued identification will be subject to a background check before being allowed to enter the installation. This step is being taken to ensure that Carlisle Barracks is in compliance with Homeland Security Presidential Directive 12, which requires installations to vet 100% of visitors and uncleared contractors prior to entering the installation. Those without a federal government-issued ID will be asked to enter at the Visitors Center (870 Jim Thorpe Road) where you&apos;ll undergo an immediate background check (about 10 minutes) and be issued a temporary pass to get onto the installation. Visitors who are accompanied by a CAC or military ID holder will be allowed to enter without a background check.